The Mehrangarh Fort itself stands atop a hill, with towering embattlements reaching up to 36 metres! Seven gates lead you into the fort which is among the largest in India, and houses many palaces, temples, and even a museum.These gates were built by different rulers to commemorate their victories over the invading armies from Jaipur and Bikaner. The most prominent palaces inside the fort are Sheesh Mahal, Phool Mahal, Jhanki Mahal and Moti Mahal, while two temples of Chamunda Mataji and Nagnechiyaa Maa have visitors flocking them during Navaratri season. Standing on a perpendicular cliff, the vistas from Mehrangarh Fort are splendid with specks of blue paving the ground beneath. Inside the fort is possibly the best-stocked museum in Rajasthan. Several galleries inside the museum have Elephant Howdahs and royal palanquins, along with the finest examples of Marwar and Mughal paintings. The armoury’s prized possessions include the sword of Akbar and Timur. One of the galleries inside the museum has on display a variety of turbans prevalent in Rajasthan. Not to be missed. 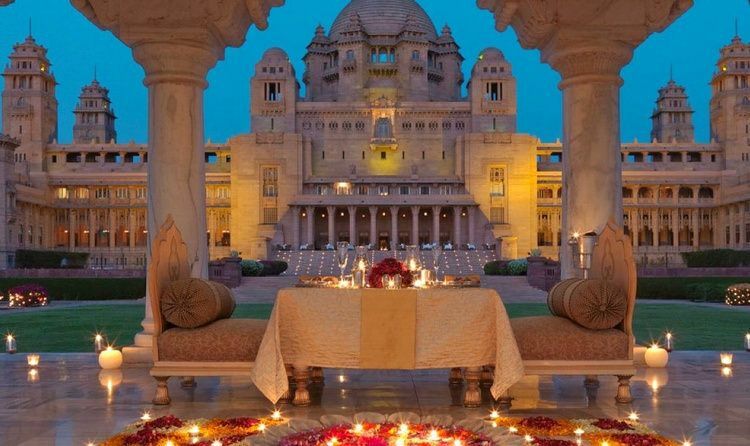 One of the largest private residences in the world, the humungous Umaid Bhawan Palace has a mind-boggling 372 rooms! The principal residence of the erstwhile Jodhpur royal family, the magnificent structure was architected by Henry Lanchester and shows a mixture of both Western and Eastern influences. While the massive dome draws from the Renaissance, the high towers on the sides are derived from the Rajput architecture tradition. Sightseeing in Jodhpur is incomplete without a visit to the Umaid Bhawan Palace. Besides the royal residence, there are two other functional parts—a luxury hotel and a museum dedicated to the 20th century history of the Jodhpur royal family. The artificial lake constructed in 1872 sprawls over 84 square kilometres, and is the best place to unwind in leisure after a sultry day of Jodhpur sightseeing. Palaces and gardens of two preceding rulers had been replaced by Pratap Singh to make way for the lake—which remains a source of drinking water for Jodhpur and its surrounding towns and villages. 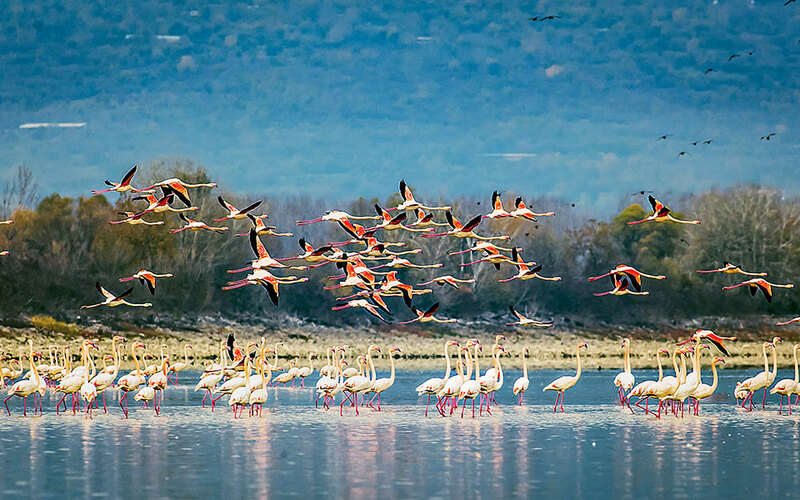 Come winter, tourists flock to Jodhpur and so do a wide variety of migratory birds like the Siberian Crane. An exciting prospect for bird-watchers indeed. The sunsets behind the rocky hillocks at Kaylana Lake take ethereal form, with the skies draped in changing hues with every passing minute. 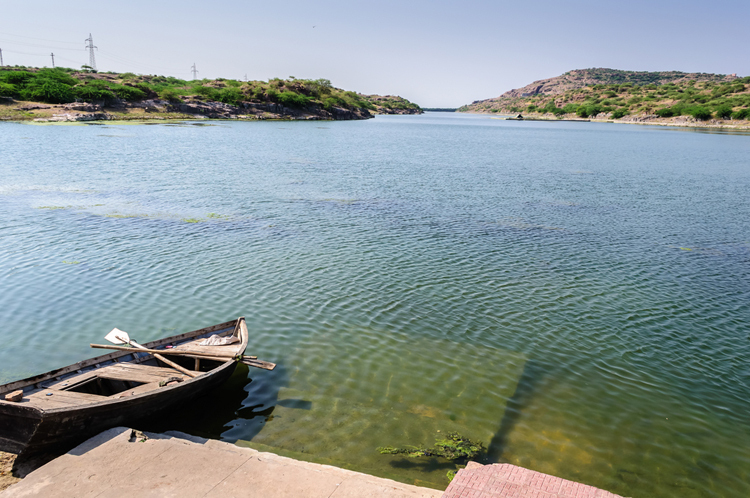 The Kaylana Lake also goes by the name Pratap Sagar, and offers boating facilities. However swimming is strongly discouraged in the bewitching waters. The eye-catching clock tower built almost a century ago stands to this day as a prominent landmark in Jodhpur. Built by Sardar Singh in 1880, the Mehrangarh fort looms as a backdrop. 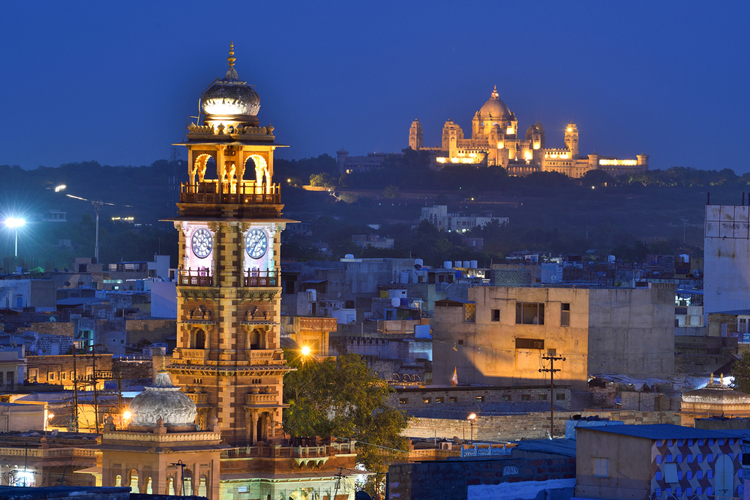 The tower provides beautiful views of the old city of Jodhpur, and overlooks a thriving open bazaar adjacent to it. The narrow lanes of Jodhpur start branching out from here. The Sardar Market greets you with triple gateways at both ends, and comprises of alleys selling traditional Rajasthani wares. Strolling around the crowded alleyways of the bazaar, which sell everything from handicrafts to spices to silverwares to sweets is a charming way to introduce yourselves to the vibrant Marwar culture. The heart of the old city is a haven for foodies. Mawa Kachori, Pyaaz ki Kachori, Mirchi Bada and scores of other delectable delicacies of Jodhpur are sure to leave you reeling, even as you sink into the views of the city. In the evenings, the clock tower is lit and looks fabulous against the lively market and the night sky. Meaning ‘forest’ and ‘spring’, Arna-Jharna re-imagines the experience of visiting a museum and tries to expand the confines of a traditional museum to include the open spaces of the desert. Introducing you to the biodiversity of the place it is situated in, Arna-Jharna attempts to link diverse disciplines. Focusing on a panorama of brooms linked to different cultural contexts, the museum introduces you to the culture of rural Rajasthan. 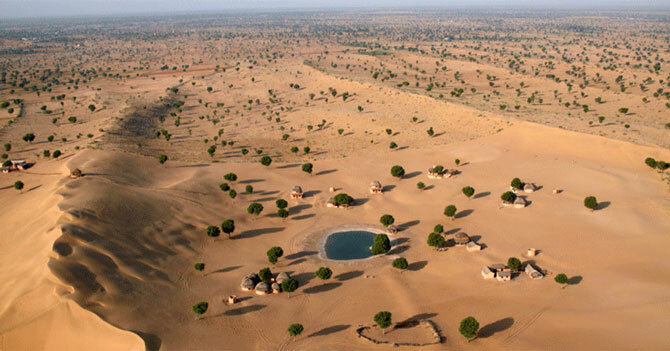 Less than two kilometres away from Kaylana Lake, and on the way to Jaisalmer is the Machiya Safari Park. An abode of wild animals, wildlife enthusiasts will be excited as it figures on most popular Jodhpur sightseeing packages. 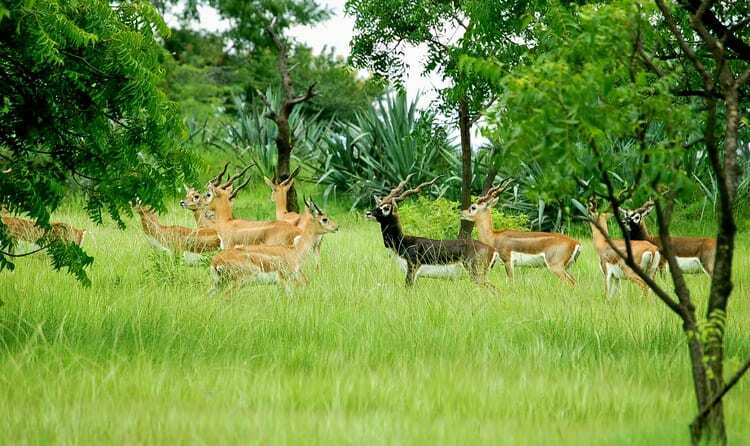 Nilgai, desert fox, monitor lizard, deer, wild cat and many other fascinating animals have made the Machiya Safari Park their natural habitat; and spotting them can be a fun-filled affair with family. The city of palaces has a different charm to itself as it is also a home for several enchanting lake destinations. Sardar Samand Lake is one such place to see in Jodhpur that will redefine the meaning of tranquillity for its tourists. This lake is situated close to the city and offers great environs to its visitors. The lake and nearby areas are known for accommodating exotic species of migratory birds which enhances the beauty of the lake. It is hence a home for great bird watching activity. Built by King Chanda somewhere around the 9th Century, Chand Bawri is a stepwell built in the Abhaneri Village near by Jodhpur. It is amongst the largest stepwell of the world and also the most beautiful ones. This attraction is one the hidden secrets of India as it not an effortless place to locate. This makes is one of the popular places to visit in Jodhpur. 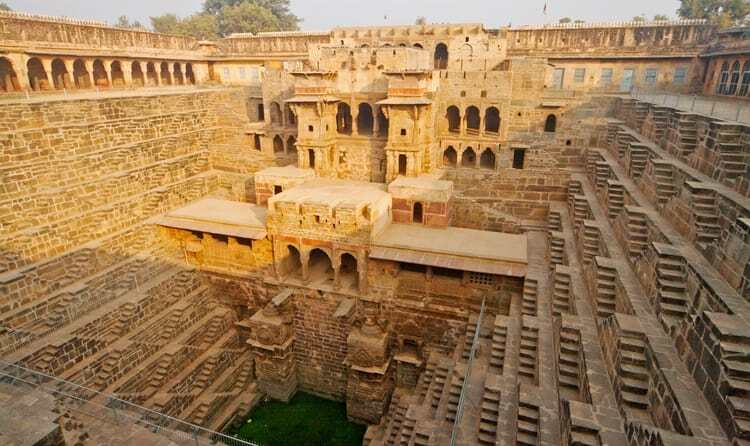 Built for the purpose of water harvesting, the stepwell is 64 feet deep with 13 floors, making it the largest and deepest of all in the country. The architectural pattern and beauty of the place is certainly something very interesting for a commoner. It is having a precise geometrical pattern which is not found in this era easily. The stairs enclose the water on three sides of the rectangular courtyard while the fourth side gloats of a pavilion having three stories with wonderful cut jharokhas, exhibitions upheld on columns and two anticipating galleries revering excellent sculptures. The village and Garh of Chandelao have since a long time ago had impact in the historical backdrop of Rajasthan and the Kingdom of Marwar. This region of Rajasthan is famous for its savagely free individuals, its beautiful attire, its painstaking work, and its conventional lifestyle. Chandelao is a town of around 2,000 individuals, and like most towns in Rajasthan, most of the general population are included in farming. A considerable lot of the houses are still developed of the customary mud blocks, with a weatherproof covering of dairy animals excrement, painted white, red or blue. In a few spots, more up to date houses developed of excellent red Jodhpur sandstone are being constructed. 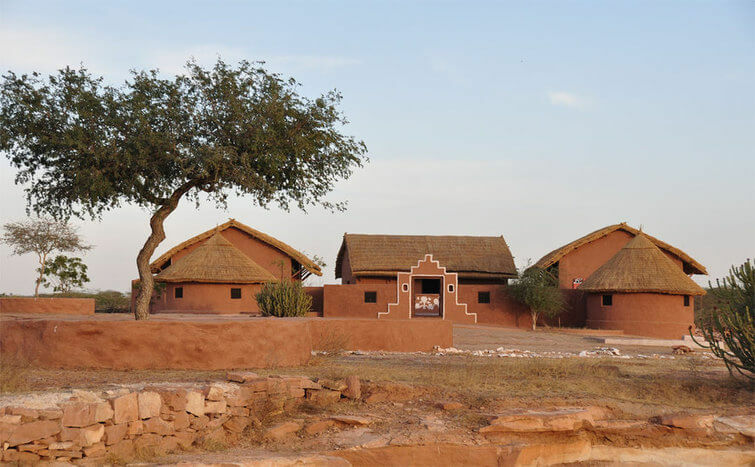 It is a renowned village in the Jodhpur district of Rajasthan state of the country. It has numbers of resorts and hotels which itself is an indication that despite being termed as the village, it is a very popular tourist spot. The main attractions of the village are Old Wells and Sand dunes. You can also try to reach to reach the top of Sand Dunes by the road available for the purpose. Other destinations of the place where tourists frequently visit are Baba Ramdev Temple, The Pokaran Fort, Salim Singh Haveli and more. Apart from the sand dunes, there are high and long rock series. 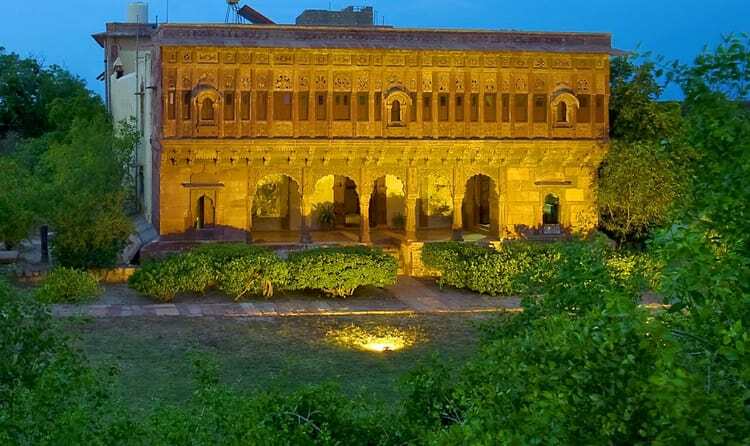 Located on the edge of the Great Thar Desert in the heart of rustic India lies this exceptional sixteenth-century Khimsar Fort, which is one of the most beautiful places to visit in Jodhpur and offers experience subsequent to invigorating background. Many years of history unfurl as you look at its fight scarred dividers and walk around its bulwarks. As you taste tea on the porches you understand the magnificence of being encompassed by sections of land of rich green greenhouses. Khimsar Fort has been granted the 'NATIONAL GRAND HERITAGE AWARD FOR EXCELLENCE' (this being the most noteworthy acknowledgment presented upon any legacy property by the Department of Tourism, Government of India). 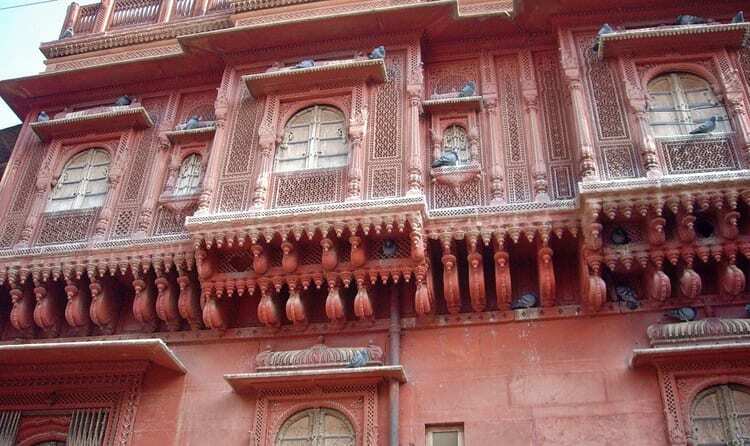 Phalodi Fort, a historical site is situated in a small city called Phalodi in Jodhpur city. fort is another place that reflects the cultural richness of the Blue city and speaks of the pre-historic period of Jodhpur. It is constructed in the year 1488 by Rao Hammir Narawat, and today majestically stands as a glimpse of the glorious olden days. One can witness the charm of this historical site and explore the village life of Phalodi at the same time. 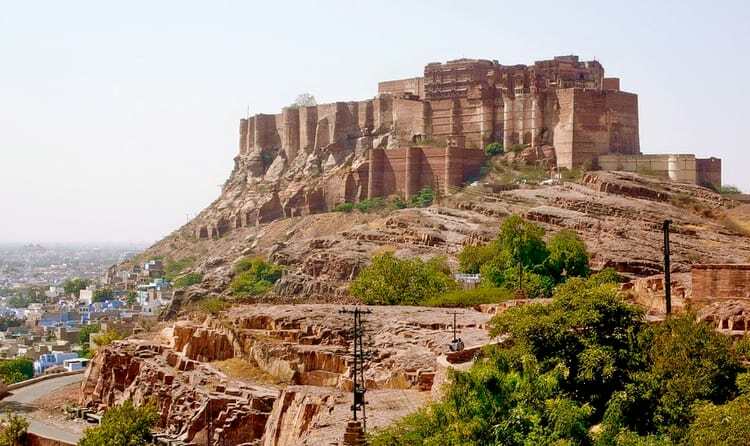 The artistic portraits and architectural designs of this fort are quite engaging and makes this destination one of the nicest Jodhpur Tourist places. This fort reflects the fine work of artists of Marwar of the pre historic era. Popularly referred to as the ‘Khajuraho of Rajasthan’, the ancient town of Osian is an oasis in the middle of the Thar Desert. A diversion off the main Jodhpur-Bikaner highway will lead you into ancient ruins of a nest of Brahmin and Jain temples. 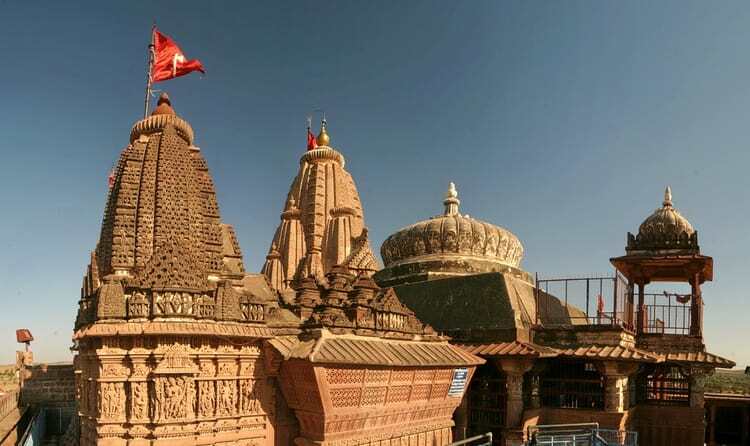 A cluster of 18 glorious temples welcome you—out of which the Sun Temple, Sachiya Mata Temple and a temple dedicated to Mahavir are stellar examples of architectural brilliance. The Harihara and Pippala Devi temples are worth a mention. 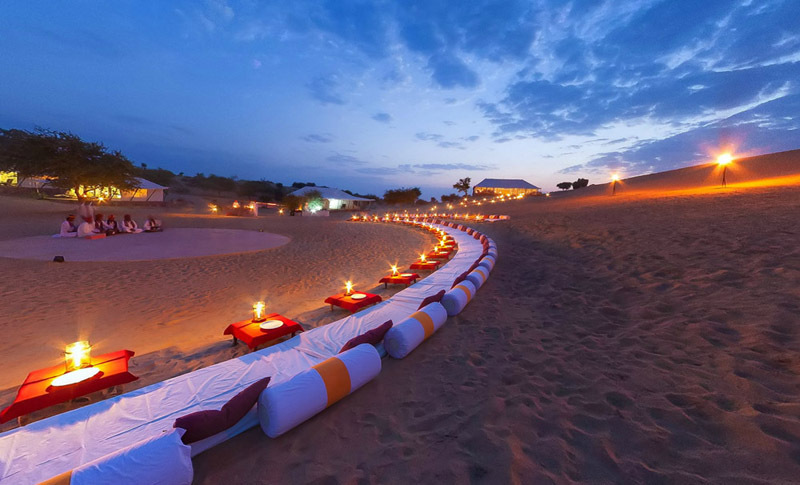 Camel rides in the evenings, amid sand dunes are an authentic way of soaking in the life of the most densely populated desert in the world.